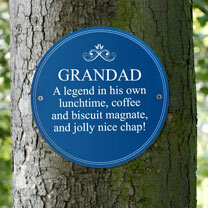 Honour friends and family with their very own iconic Personalised Heritage Blue Plaque! 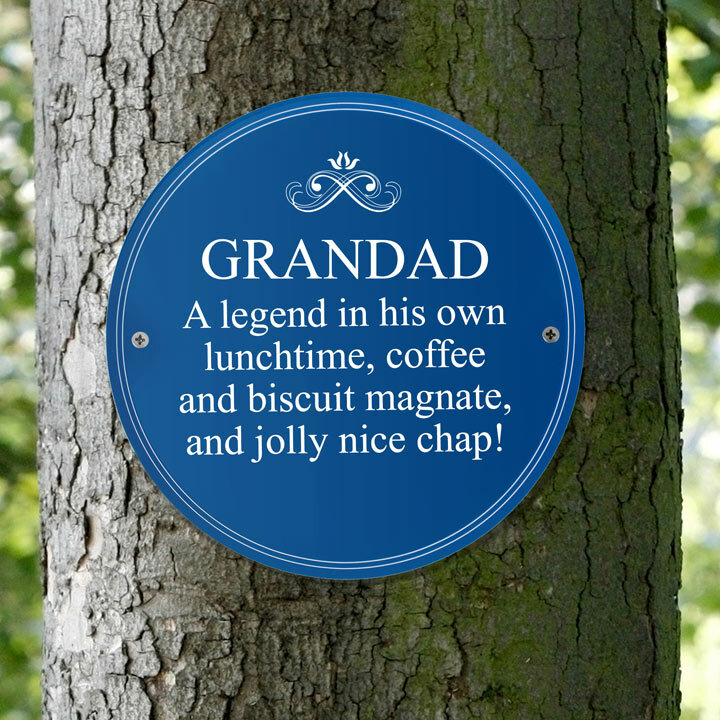 It can be engraved with a name and a message and comes complete with screw holes to hang or use the self-adhesive backing supplied. Made from weatherproof plastic, it is suitable for indoor and outdoor use. Personalise with a name up to 17 characters long and a special message over 5 lines (max 20 characters per line). 19.7 x 19.7 x 0.1cm.